The Eternal City will host the elite of the world of show jumping for the second year in a row this September. 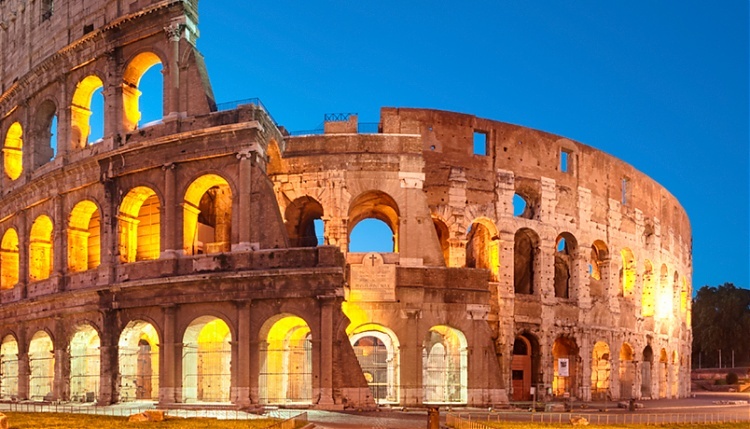 Beautiful, inspirational Rome has been attracting visitors for over two millennia and continues to be one of the most exhilarating destinations in the world. One of the oldest continuously occupied cities in Europe, Rome’s historic heart contains iconic monuments and artistic masterpieces from the magnificent Colosseum and the Pantheon to the Sistine Chapel and the ruins of the Roman Forum. Visitors can take in Renaissance palazzos and Baroque fountains or simply stroll through beautiful piazzas and soak up the vibrancy of the city of La Dolce Vita. Rome is one of the most visited cities in the world and has a sporting heritage dating back to the Roman Empire. The Global Champions League will be staged at the impressive Stadio dei Marmi, which is ringed by 59 classical statues depicting different sports. The stadium is one of the arenas in the Foro Italico sports area, home to the Italian Olympic Committee. Team riders will be competing in front of a passionate local and international crowd as the battle for the series championship reaches a crucial stage with competitors locked in a gladiatorial battle for the honours.